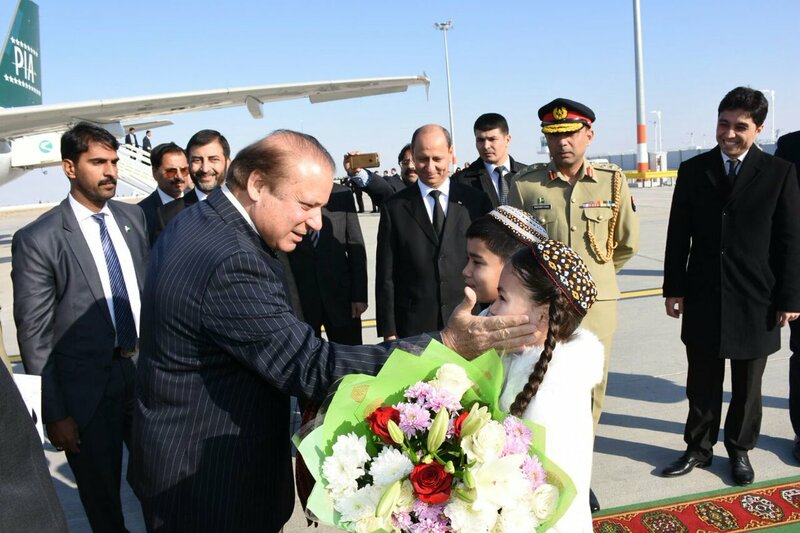 Prime Minister Nawaz Sharif has arrived in Ashgabat on Friday on a two-day visit to Turkmenistan. PM Nawaz Sharif is paying a two-day visit to Turkmenistan at the invitation of Turkmen President Gurbanguly Berdimuhamedov. At the airport, he was received by the deputy Prime Minister of Turkmenistan and officials of Pakistani embassy. The prime minister will lead the country’s delegation at the first ever Global Conference on Sustainable Transport. The president of Turkmenistan is co-hosting the conference along with United Nations Secretary-General Ban Ki-moon. The conference is likely to be attended by around 1,500 participants, including heads of state and government ministers, civil society, leaders and UN officials. It will discuss promotion and role of sustainable transport towards the achievement of the 2030 Agenda for Sustainable Development. Pakistan is keen to improve connectivity with the Central Asian States by establishing transport and communication links, which will be conducive to tapping the potential of trade, economic interaction, people-to-people contacts and tourism, a statement by the Foreign Affairs Ministry said on Thursday. The statement added that Pakistan and China had launched the China-Pakistan Economic Corridor (CPEC) to provide seamless connectivity to Gwadar and Karachi ports. 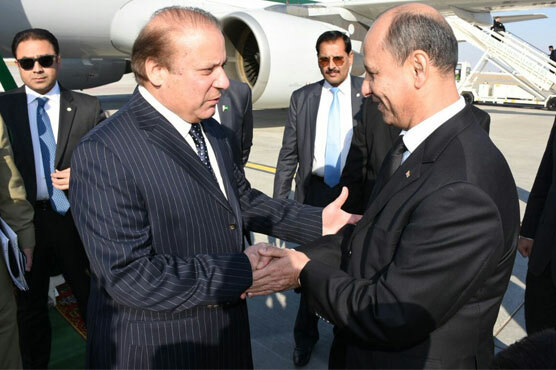 During the visit, PM Nawaz will also hold a bilateral meeting with the president of Turkmenistan. The meeting will provide a valuable opportunity to review the decisions taken during the previous two visits of the prime minister to Turkmenistan in 2015 and the Turkmenistan President’s visit to Pakistan in March 2016. The two leaders will also exchange views on bilateral, regional and international issues of mutual interest, the statement mentioned. PM Nawaz is also expected to brief UN Secretary-General Ban Ki-moon on Indian aggression in occupied Kashmir and the escalation of conflicts between Pakistan and India.